There’s a wave coming, and most churches are not ready for the “new seniors.” This is extremely unfortunate because the United States is about to experience one of the greatest waves of adults retiring and/or reinventing themselves and starting a second or third career based on their lifetime of experiences in the business world. Baby Boomers are retiring in massive numbers every day and will present great opportunities to churches that haven’t written off “senior adults.” One thing is for sure: the new seniors won’t look and act like the present senior adults in our churches. Treat them like they are, and you’ll lose them fast. 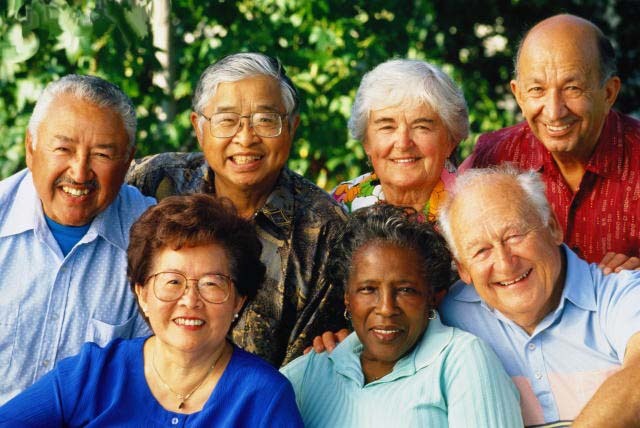 People are living longer these days (during the Roman Empire, average life expectancy was 22 years; in 1900 the average life expectancy in the U.S. was 47; by 2050 it is projected that Americans will live to an average age of 89). Our congregations are going to gray – that’s just a fact. Only a few churches will be ready for this massive wave of new retirees. Just how massive is it? Let’s see. The people known as “seniors” are actually 3 generations in 1. “Seniors” were influenced by the Great Depression; “The Greatest Generation” lived through WWII and started families (and the baby boom); the “Silent Generation” were relatively small in number and financially secure. According to LifeWay Research, for the decade between 2000 and 2010, senior adults are the only group that has ended the decade with a higher number of baptisms than it began with 10 years ago; in fact, the number of baptisms among seniors has been very constant across the years in this past decade (in other words, you can still reach seniors with the gospel). Do I have your attention yet? If yes, then stay tuned for Part 2 (tomorrow) of this short series on senior adults in our churches. We must make adjustments in order to meet their needs because the new seniors (the Boomers who are retiring) aren’t going to be like the present group of seniors in our churches. Will you and your church be ready for this new wave of retirees, or will you get wiped out when the wave hits? Do you think you can continue with your potluck dinners and game nights and reach the new wave of retirees? You won’t. Have you written off older adults and focused your ministry on younger adults? You should rethink your plans! Not following this blog? Click here on kenbraddy.com and jump to the home page, sign up with your email address, and start receiving daily posts Monday-Friday. Previous How many PowerPoint slides should you use?